Hi guys, I hope you all had a great weekend! 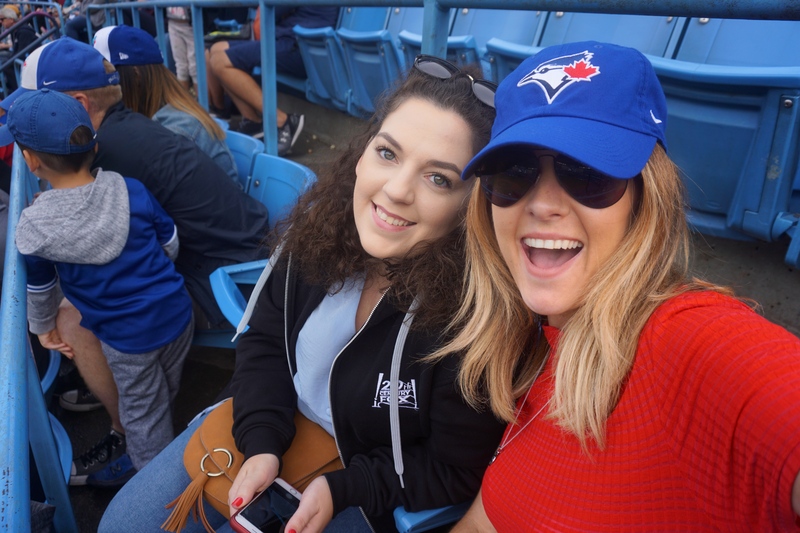 We booked our flights through Expedia and the cheapest deal at the time was for a 1 hour stop-over in Montreal and then fly on to Toronto (we almost missed our next flight because the first was delayed so the best thing to do would be to fly direct both ways). We also booked a direct flight home from Toronto (7 hours direct). These flights came to €400. Note – We flew with Air Canada and they managed to lose our luggage in Montreal so we ended up having no suitcases for the days following this which was a major disappointment. I spoke to an Air Canada rep and after numerous calls and further delays one of our cases arrived and the other was still with the courier – disaster. A good few people have said they’ve had issues with this airline and losing luggage is a regular occurance so I will think twice before booking with them again. The flights in general were fine and we got there in no time but I would suggest shopping around first. 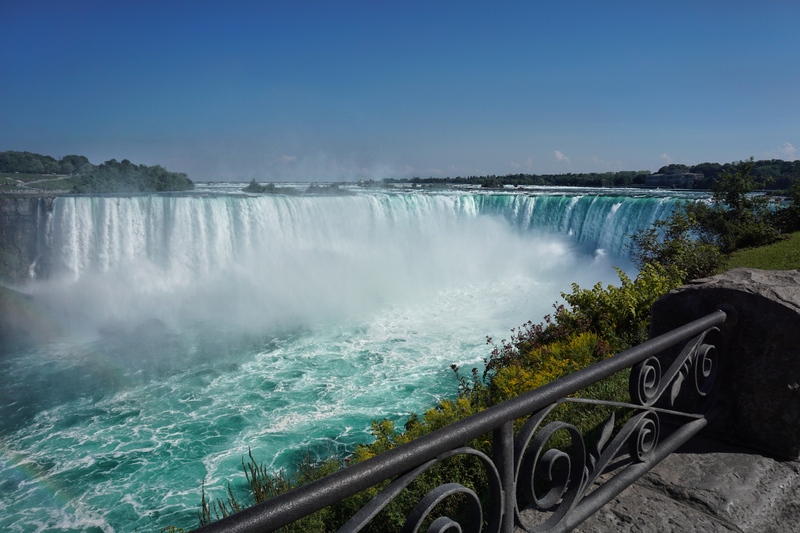 We hired a Nissan Rogue from Hertz for two days so we could drive to Niagara to see the falls. We were short on time so this worked out great as we picked up the car from the airport as soon as we landed and off we went. I have hired cars from Hertz before and they tend to be my go-to car rental place. The only issue we had was with our GPS which worked on and off (the fee for this was refunded once we highlighted the issue) but other than that the rental worked out great. Tip – it’s best to book in advance and online. The CN Tower is a 553.3 m-high concrete communications and observation tower located in Downtown Toronto. This place was top of my list so we booked everything in advance to avoid disappointment. What do you do/see here? 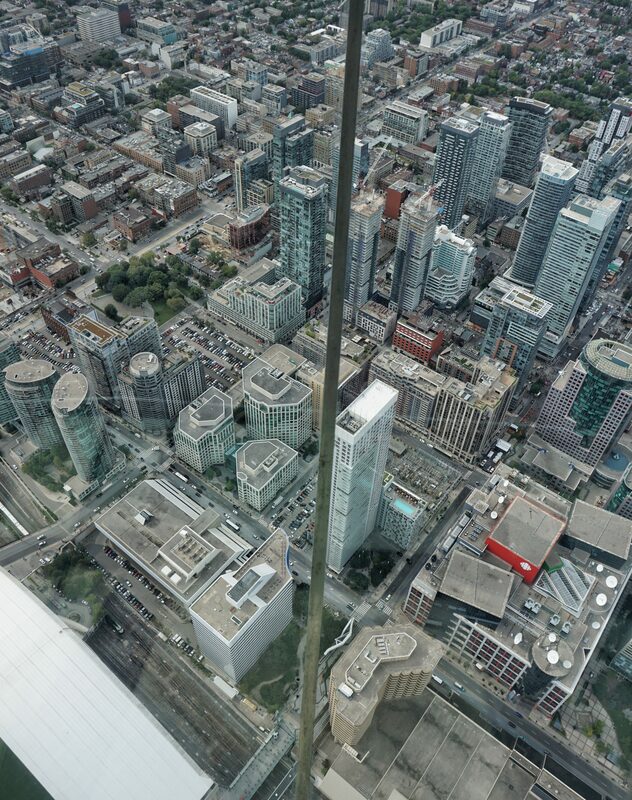 The CN Tower’s Glass Floor allows you to look down on to the city while walking on the glass floor. It is a unique experience that has inspired an international bucket list of see-through floor experiences including the Grand Canyon Skywalk, Chicago’s Ledge. So much fun! Rocket 58 seconds in one of six glass-fronted elevators to the LookOut Level located at 346m / 1,136 feet with breathtaking views. From the LookOut level you will expereince an eye-opening perspective on the most amazing views in Toronto with floor-to-ceiling panoramic Window Walls and an all new Glass Floor, installed directly above the original, one level below. Board a separate elevator on the LookOut Level to travel through the core of the Tower an incredible 33 additional storeys higher to SkyPod. At 447 m (1,465ft), high above the city – SkyPod is one of the highest observation platforms in the world with a unique and spectacular view. If you’re an adrenaline junkie and you aren’t scared of heights in any way shape or form this is a must. 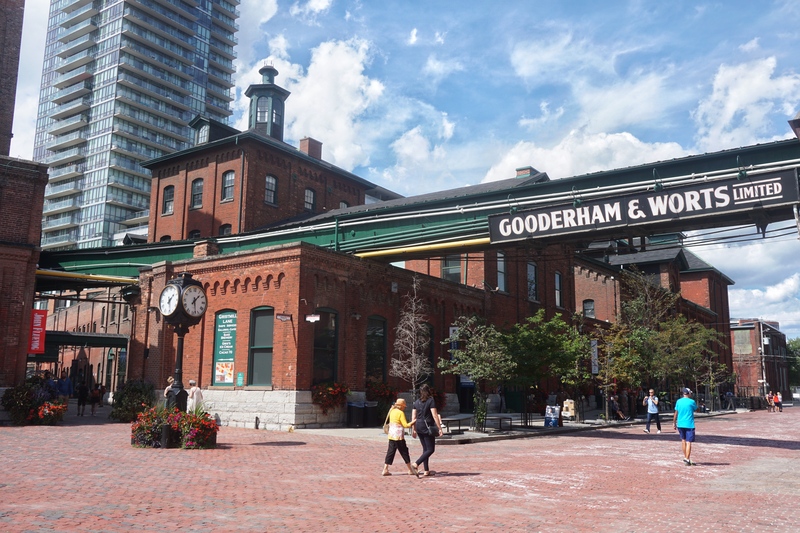 Toronto’s tallest attraction lets you walk around the circumference of the roof on the outside. The CN Tower Edge Walk is the highest external walk on a building so if you do it you complete a Guinness World Record. The staff were so nice, the views were incredible and you get such a kick from it. An absolute must if you’ve visiting. 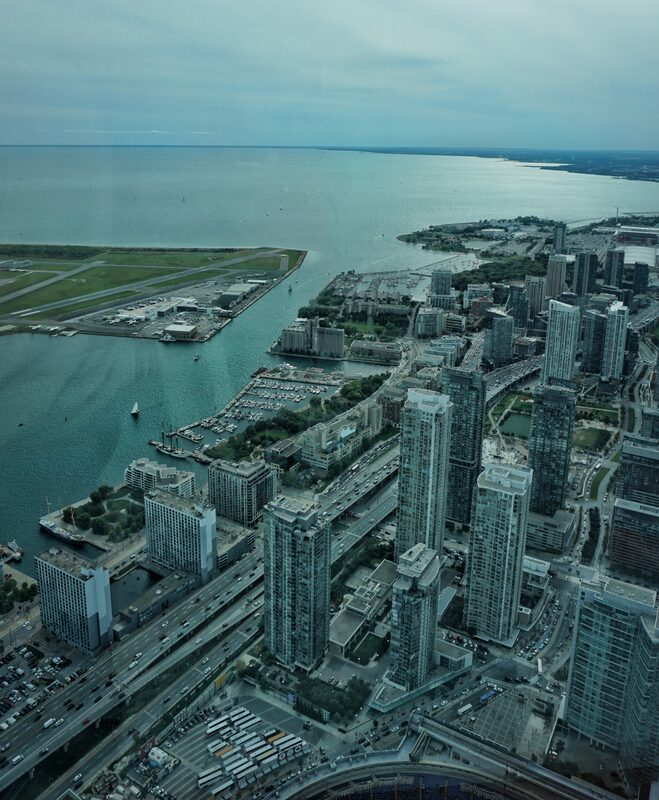 Fancy an unforgettable view of the Toronto skyline? Centre Island is the place to go. 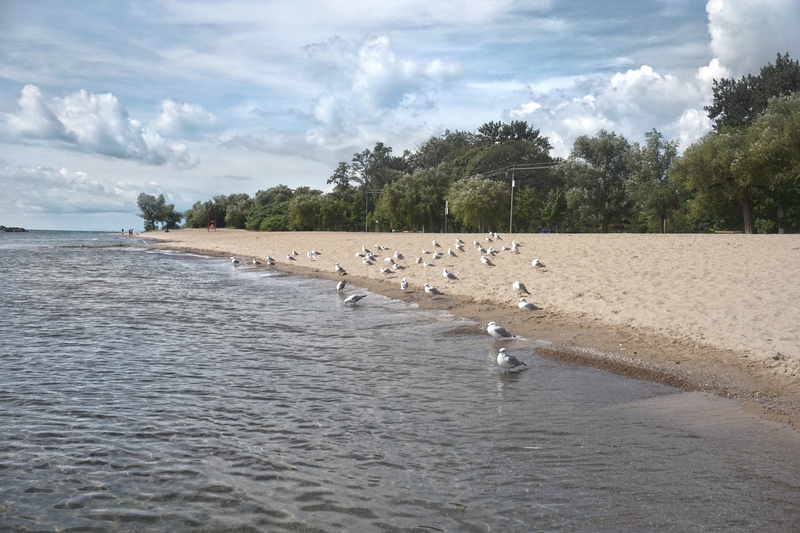 It comprises of 600 acres of parkland off the shore of downtown Toronto. 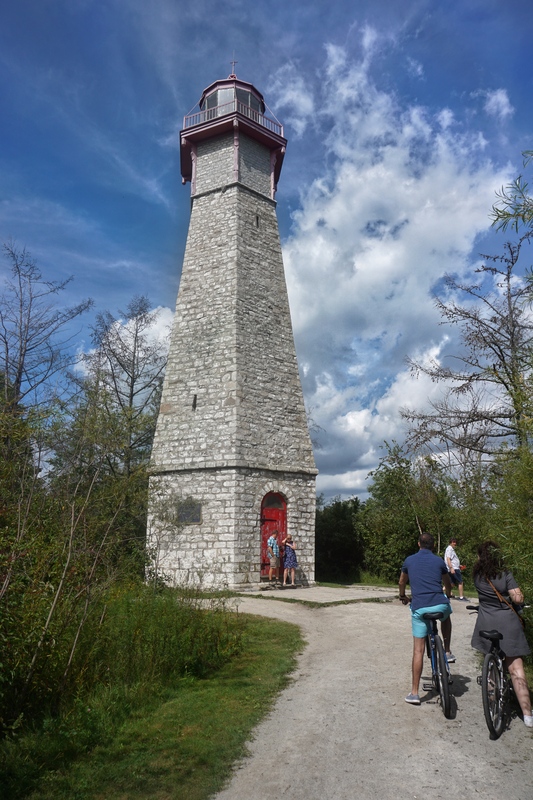 Just a few minutes away by ferry, Centre Island is home to Centreville Amusement Park and other family-friendly attractions, loads of green space, bicycle paths, eateries and more. 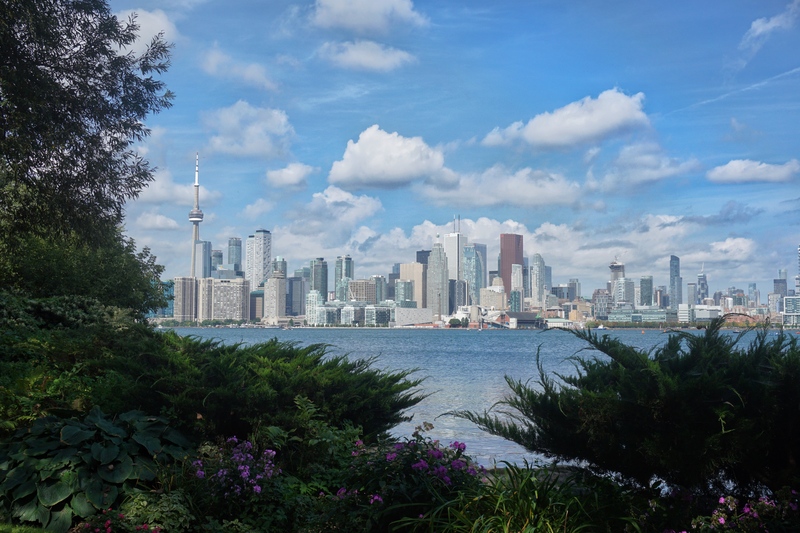 Centre Island is also known as Toronto Island and is home to more than 250 residences and the Toronto Island Airport. It is a great escape from the hustle and bustle of the city, especially for families. 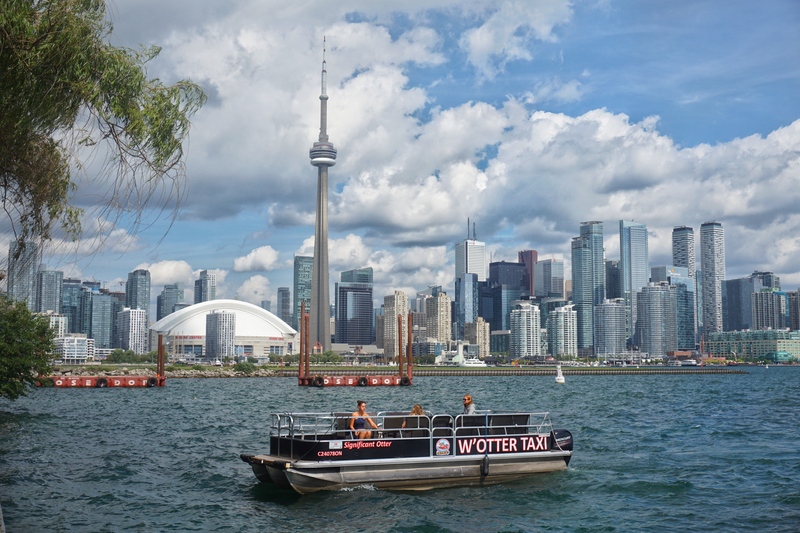 Centre Island visitors catch a ferry at the foot of Bay St. at the Toronto Ferry Docks, a 5 – 10 minute walk away from Union Station. The ferry leaves every 15 minutes in the summer, less frequently in colder months. Check the ferry schedule for a complete listing. A cool spot to check out! 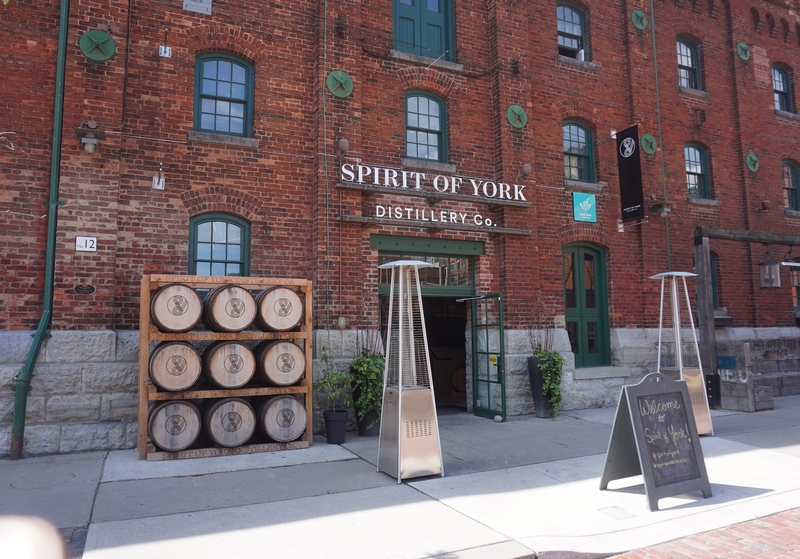 The Distillery District is a pedestrian-only area, set in 19th century buildings and it once housed a large whiskey distillery. 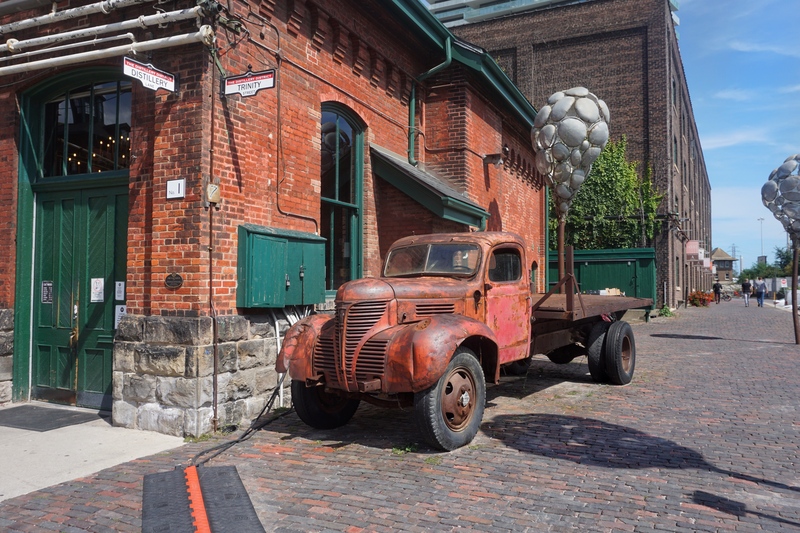 You will find lots of indie restaurants, bars and boutiques as well as galleries, outdoor sculptures and dance, music and stage performances at the area’s several theatres. In December, the annual Toronto Christmas Market takes over the streets. The market is meant to be unreal. When in Toronto and all that! I am not the biggest sports fan but going to a game is always a fun day out. 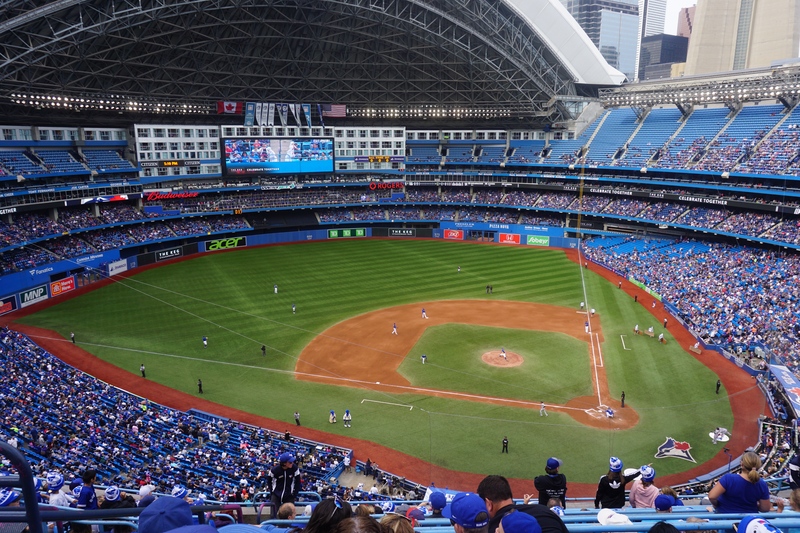 We got tickets to see the Toronto Blue Jays at the Rogers Centre. As it wasn’t high season (September) so we got cheap enough tickets – we paid CAD 49 which worked out at just over 32 EUR for two. A great crowd, a few drinks and a buzzing atmosphere. Highly recommend! For tickets and schedules click here. 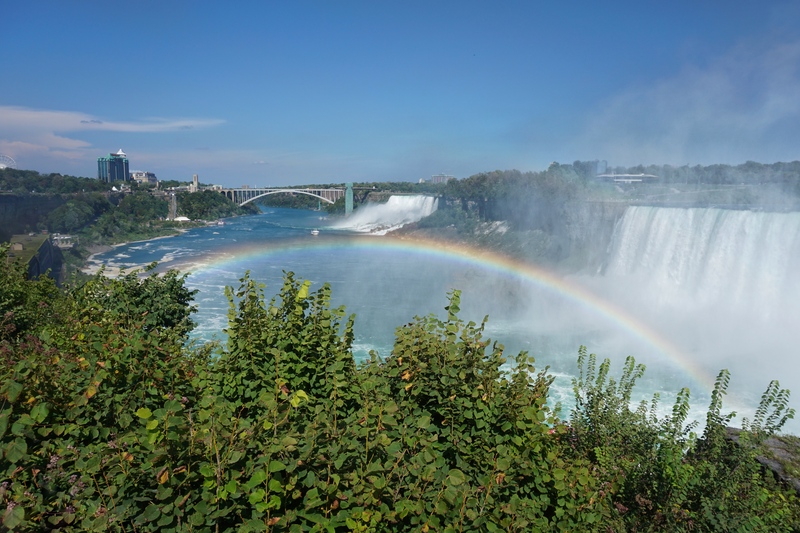 Niagara, Ontario, is a Canadian city at the famous waterfalls, linked with the U.S. by the Rainbow Bridge. 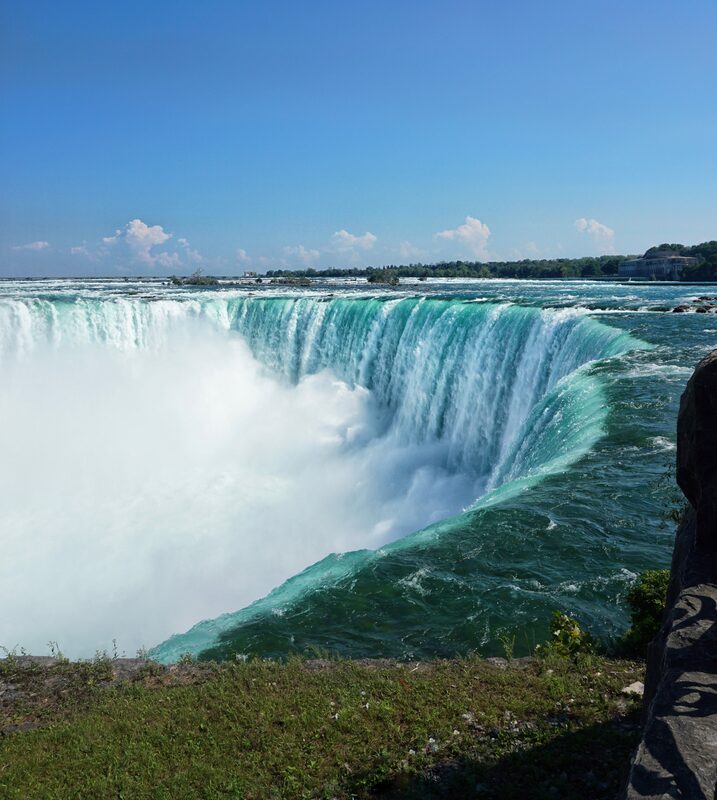 The Horseshoe Falls is where you want to go. 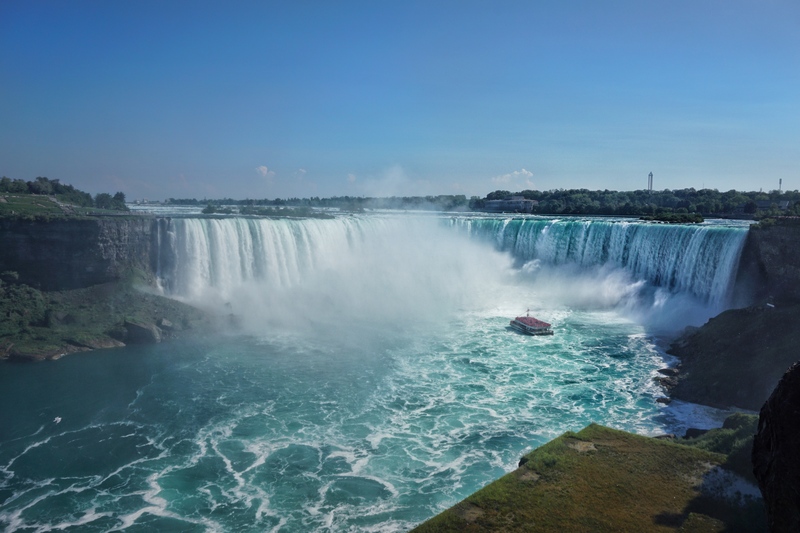 When we arrived we bought two tickets to board the Hornblower Niagara Cruises boat which takes you up to the falls (board this on the Canadian side). We got absolutely saturated but it was so much fun and totally worth it. In the city, you will also find a cliffside park with a promenade alongside 520-ft.-high Skylon Tower with an observation deck. A great spot for a day out or a night or two. From downtown Toronto, the drive to Niagara Falls was about 1h35 which wasn’t too bad so we got there in no time.We also stopped off at Outlet Collection Niagara on the way for a bit of retail therapy. Unreal deals and discounts so definitely worth checking out. 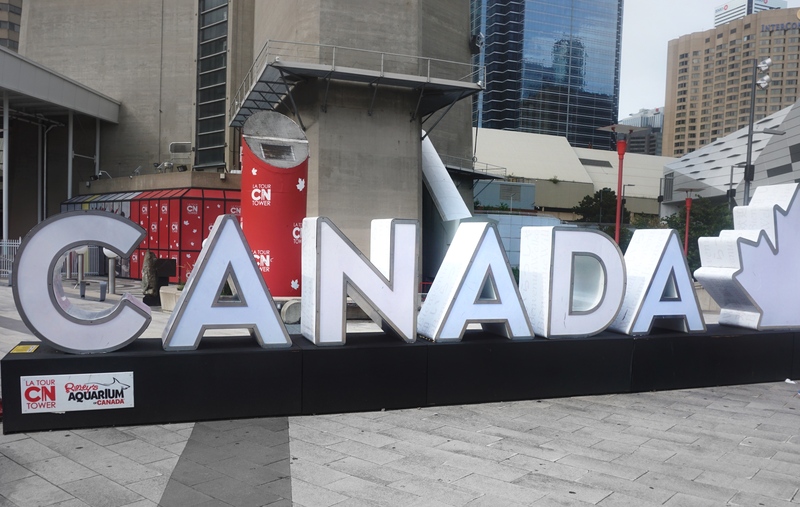 Times Square in Canada? Yup! Dundas Square is where it’s at. 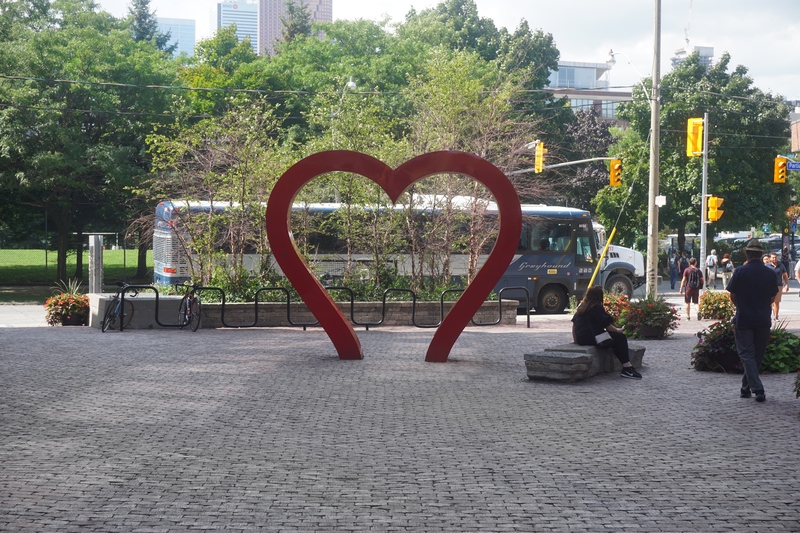 It is a public square at the corner of the intersection of Yonge Street and Dundas Street East in Downtown Toronto. Bright lights, billboards and a lots of people rushing around. Worth a look if you’re in the area – for a photo if for nothing else! Who doesn’t look a bit of celeb spotting? One of the best times for it is during the Toronto Film Festival (TIFF). We parked ourselves at One, ordered a few cocktails and people watched for a couple of hours. Bliss! Within the Yorkville district is one of Canada’s most exclusive shopping districts, anchored by the Mink Mile along Bloor Street. 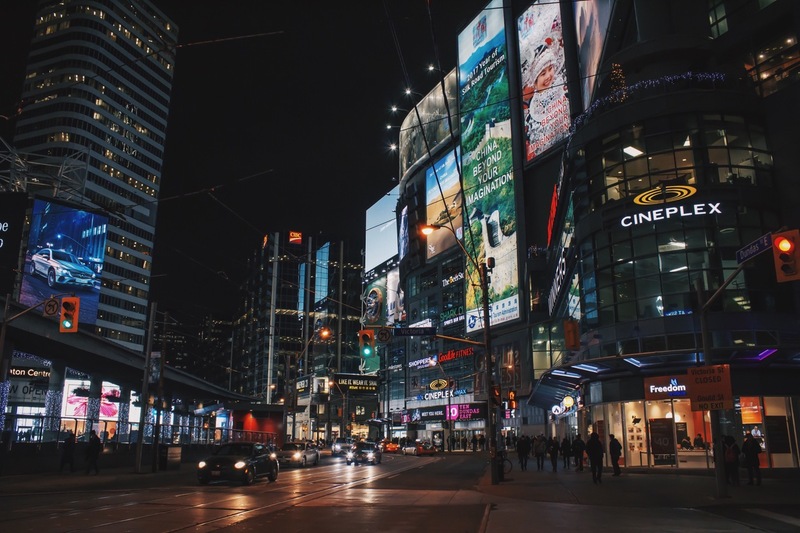 Fun fact – Yorkville had rents of $300 per square foot in 2008, making it the third most expensive retail space in North America. Movies, celebs, red carpets and parties – what’s not to love? If you’re in Toronto at the beginning of September TIFF is the place to be. There is a great atmosphere and buzz around the city and lots to do and see. We were lucky enough to go to a pre-TIFF 20th Century Fox party and we invited to see Gloria Bell, the movie where Julianne Moore herself was in attendance. Check out the website for more details. Again, lots of celeb spotting to be done. Fun times! The Toronto Eaton Centre is a shopping mall and office complex downtown. A large shopping centre with everything from Steve Madden and Sephora to Apple. A great spot for some retail therapy. Another spot worth checking out is Outlet Collection Niagara. Unreal bargains and discounts and just a 10 minute drive from Niagara Falls. The place is huge so allow a few hours to browse. As most of you will know – I LOVE wining and dining – especially in new cities. 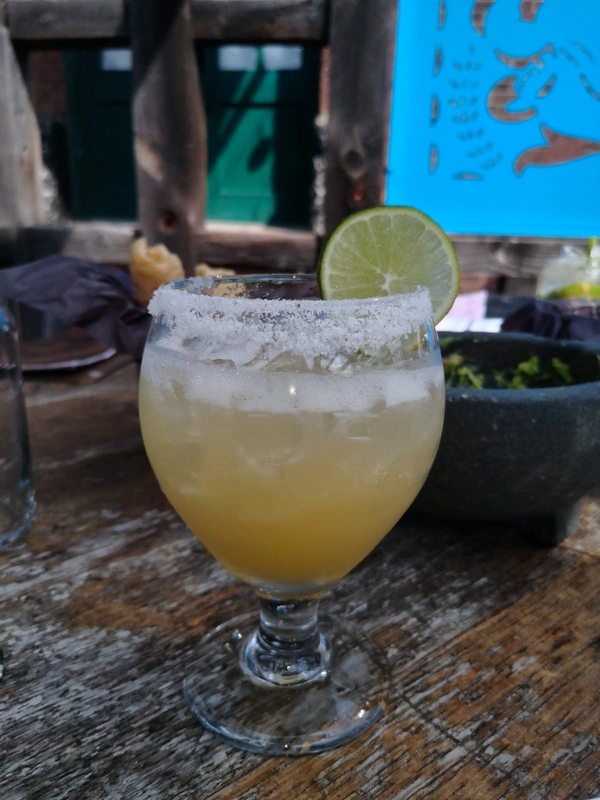 I checked out lots of places over the 6 days so here are my top 6 spots in Toronto. Cocktails, coffee and good food! 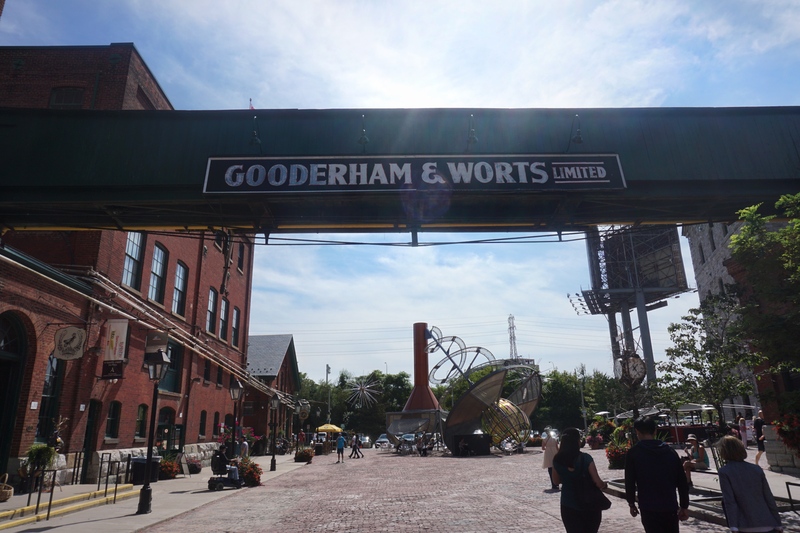 There you have it – my Toronto Travel Guide. I have included a bit of everything but if you have any questions feel free to comment below. Where to next? I will keep you posted!  I had the nicest time exploring this beautiful city. 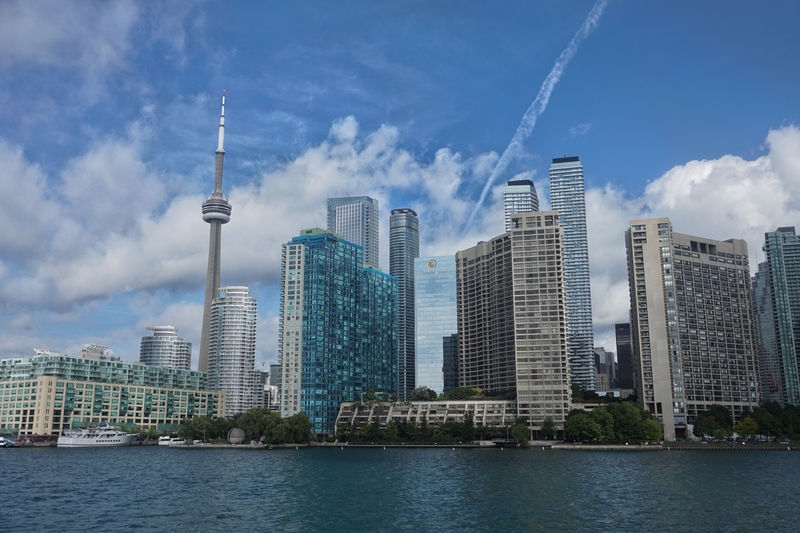 Have you been to Toronto? Comment below and let me know how you got on.